When you start digging into it, hair is fascinating stuff. For one thing, it is considered the single fastest-growing natural tissue in the body. Secondly, you might be surprised to hear that your hair doesn’t just grow continuously; instead, it goes through different phases; sometimes it grows while at other times it rests. Lastly, of course, your hair is one of the most visible symbols of your diet; poor nutrition can result in dull, dry, fragile or thin hair. Eat right, however, and you’ll support your body in producing the healthiest head of hair possible. But how do you eat for healthier hair? Analysis of the components that make up hair suggest that between 65% and 95% of our hair is made from protein; namely keratin. Unsurprisingly, therefore, getting suitable levels of protein in your diet are important for healthy hair. Some experts have claimed that a lack of protein in the diet can produce “weak and brittle hair” and may even result in the loss of hair colour in more severe cases. Great sources of lean protein in the diet include meat such as chicken, turkey or beef. Eggs and dairy products are also high in protein, as are many beans and pulses. If you’re struggling to meet your needs a range of protein supplements are also available. The second most common ingredient in hair is our old friend water. Studies suggest that water can be responsible for up to a third of a hair’s weight, so staying hydrated is crucial. The Eatwell Guide recommends consuming at least 150ml of water per day - roughly equivalent to between six and eight glasses of fluid. Many of us know that iron is a key component of the haemoglobin in our blood. What most of us don’t realize, however, is that iron also has an important role to play in healthy hair. One study that investigated patients suffering from persistent hair shedding or thinning found a direct link between the levels of iron in the body and the severity of their symptoms. The experts found that replenishing the body's iron stores - either through an effective diet or through supplementation - resulted in improvements in overall hair quality and health. That said, they were careful to highlight that the improvements seen took some months to achieve, so prolonged dietary support may be required. Another study analysed 5000 women suffering from poor hair quality or coverage. Not only were participants asked to fill out a questionnaire detailing the problems suffered, but a detailed nutritional analysis was also carried out for each volunteer. The findings suggest that women with iron deficiencies are far more likely to suffer from some degree of hair loss when compared to women with normal iron levels. The experts summarized that “a low iron store represents a risk factor for hair loss”. Fortunately, a range of foods are rich in iron. These include meat, fish and eggs, wholegrains, nuts and seeds. Zinc is an incredible element that has far-ranging impacts in the body. For example, studies suggest that zinc plays an active role in maintaining a healthy immune system. It seems that supplementing with zinc can reduce the odds of catching colds and may even speed up recovery times in those suffering from an infection. Zinc also seems to play a role in the maintenance of healthy hair. A number of studies have shown that low levels of zinc in the body may be linked to hair loss, for example. One group of scientists reported on patients experiencing hair loss and prescribed them with a daily multivitamin. Despite this support, a number of individuals continued to experience symptoms. The experts then supplemented their regime with 200mg of zinc three times a day. Within six months the hair loss reversed. Interestingly, the scientists also mention that hair loss was experienced again by some participants when they ceased taking the supplement, suggesting that an ongoing zinc-rich diet is important for hair health. Many sources of iron in the diet are also rich in zinc, such as beef, lamb and chicken. In addition, spinach, pumpkin seeds and mushrooms are considered great dietary sources. 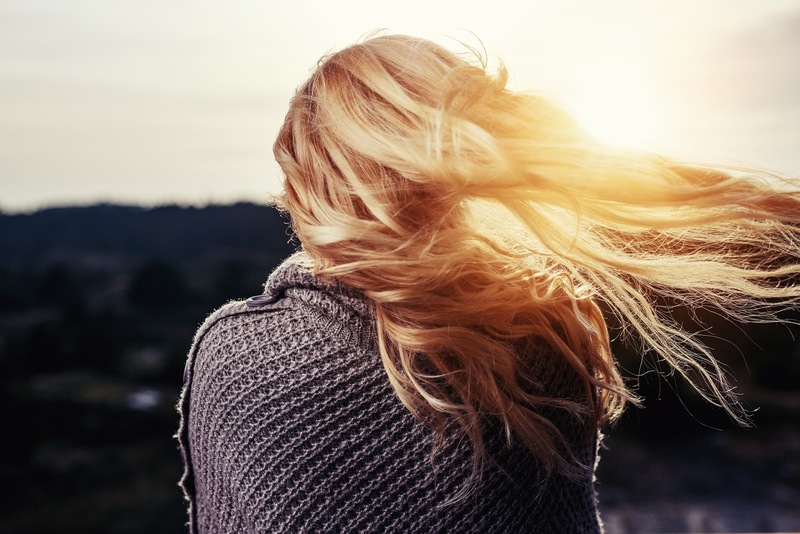 It’s no secret that vitamins play a huge number of roles in our body, and it therefore should come as no surprise that they’re also critical for healthy-looking hair. While a range of vitamins are believed to make an impact, it is possibly the B vitamins that are best-known for their impact on hair growth. For example, vitamin B5 is believed to give hair strength and shine, which is why so many shampoos include it, while vitamin B7 is believed to help break down the proteins essential for hair growth. Eat a diet rich in whole foods, fruits and vegetables to ensure you’re meeting your daily requirement of B complex vitamins. Alternatively, a range of supplements are available to help easily boost your intake. Today’s modern lifestyle, where we are all strapped for time and rely on pre-made and ready meals, can play havoc on our health - and our hair. Fortunately, we know enough to help reverse these problems and ensure your hair remains in the best possible condition. Drink plenty of fluids, eat a varied diet rich in meat, eggs, vegetables and whole grains and you’ll be heading in the right direction. Lastly, if necessary, consider supplements such iron, zinc and biotin for your best-ever head of hair. Thanks to Simply Supplements for providing this article. You can learn more about their biotin supplements here.